The word Usenet may be relatively new for some, while others may be familiar with it. Usenet was designed as network communication system which publically came into existence in 1980, before introduction of World Wide Web. Usenet is a distributed internet based discussion system, where articles from users are arranged in hierarchical categories called newsgroup. The articles once posted are distributed among different Usenet servers. Usenet was actually designed as a bulletin board but with evolution of binary newsgroups, it is easy to find terabytes of content. 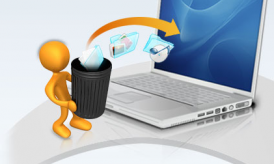 To access Usenet servers, a provider and software are required. UseNext is a leading provider of Usenet, serving from about 8 years. With UseNext, you can access terabytes of data that are distributed on newsserver. You may have a question, why UseNext? 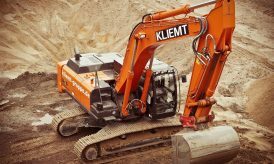 The simple answer can be found on the services and features they offer. UseNext offers 6 servers worldwide that allows 30 stable connections at same time which results in high speed access to files. Most of the files which you like to download are split into number of parts which can be downloaded concurrently with 30 stable connections and increase the overall downloading speed which would be less in downloading a single file. Because of the increasing number of newsgroups, it’s not possible to store all the data permanently. The numbers of days the data are stored is called retention. UseNext have high retention rate for binaries as 1,538 days and for text as 1,953 days. The connection between UseNext and you is encrypted by 256-bit advanced encryption standard without any additional security fee. The security features are included for all UseNext users. Though you would not require any contact support, still UseNext customer support services are ready to help you out 24 hours a day and 7 days a week through telephone and email. To test UseNext services and features, you are allowed to try it for 14 days with a download of 300 GB data. After trial period, you can upgrade to one of the packages of your choice. The plans are cost-effective and come with 30 GB, 80 GB and 250 GB per month transfer. You can freely select any newsreader software. UseNext provide newsreader software absolutely free of cost for different operating systems – Windows, Mac OS and UNIX based systems with 9 different supported languages. It also supports repair function and multi server support. Apart from downloads, you can use newsreader to read newsgroups. Getting started with UseNext is easy as three steps. You just have to enter your personal details in first step. Select a subscription package in next step then activate your account after payment in the third step. As soon as your account is activated, you will be provided with username and password which you can enter in newsreader software and start free usenext access. 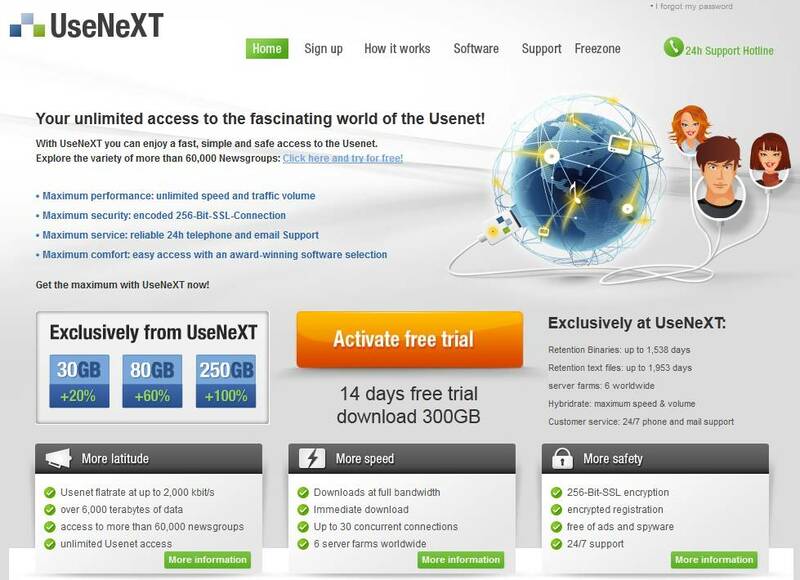 UseNext is easy-to-go usenet provider, commended by top technology press like PC Magzin, PC Welt and PC go. Usenext is highly secure and faster than World Wide Web. It is also free from ads and spyware; and uses full DSL Bandwidth.